Brady's licensed and insured professional movers ensure your move goes smoothly and on time. Across town or across the USA, Brady's gets you there, guaranteed! Brady's is the only Authorized Penske Truck Rental Agent in Northern California. We guarantee your truck availability and ensure your satisfaction. Get unlimited mileage FREE on one-way rentals anywhere in the U.S. When you’re ready to make your reservation or inquire about trucks and quotes, call our local office in order to get the best and current discounts, AAA, and other discounts, etc. Should you need to, you can inquire and reserve online at (530) 342-0014. We are the largest provider of storage facilities in the US, providing safe and secure furniture storage. 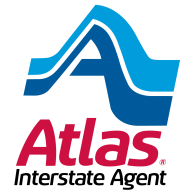 We provide with long distance and international moving to keep your property in safe. We offer a truck rental services to suit your needs, timescale and budget. I was very impressed with the service from Jim at Brady’s moving and storage. I had a hot tub moved from Chico down to Pacifica California and it looks great where they placed it in the backyard. I didn’t even have to be home when they arrived. Jim R. and team at Brady’s are the best. He has moved our family twice. From Florida to California and then California to Colorado. He has an amazing network and always brings a high quality team. I wouldn’t move with anyone else! Jim makes a stressful time go as smooth as possible, one of the best in the business! If I could give them more than a 5 star I would. We contacted Brady’s in DESPERATION after a horrible experience with another moving company. We had to move out of our home within a few days & needed help fairly quickly! . . . Keep in mind that it generally takes two weeks from start to finish in the process of a move, with ANY Moving Company. Brady’s was able to do this in 2 days for us!! Super Impressive, & again so very , very thankful to them!! Highly Recommend this company if your moving from the Northern California area. We’re so glad we used Brady’s moving and storage for our recent move from CA to TN. Jim is very professional, sharp and a pleasure to be around. He made sure the guys wrapped our furniture and strategically loaded all our stuff so that it fit well and did not suffer damage. . . We were very happy with how quickly our beds were put together for us and set up. Also, Jim gave us the best price of 4 estimates. We’re so grateful! Since 1945, Northern Californians have depended on Brady’s Moving & Storage for their moving needs, both locally and long distance. Licensed and insured, Brady’s ensures your satisfaction. Moving across town, across the state, or across the nation, Brady’s has you covered with the experience and expertise you need for a successful move. We’ve been moving people, families and companies for decades. TM & © 2019 AWGI LLC. All Rights Reserved. 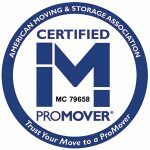 Contact us for a free moving estimate?